Andy Murray feels he is improving all the time ahead of his grand-slam comeback but says it would be unrealistic to think he can win the US Open. Murray withdrew from Wimbledon on the eve of his home major, deciding he was not ready to play five-set matches as he eased his way back from hip surgery. 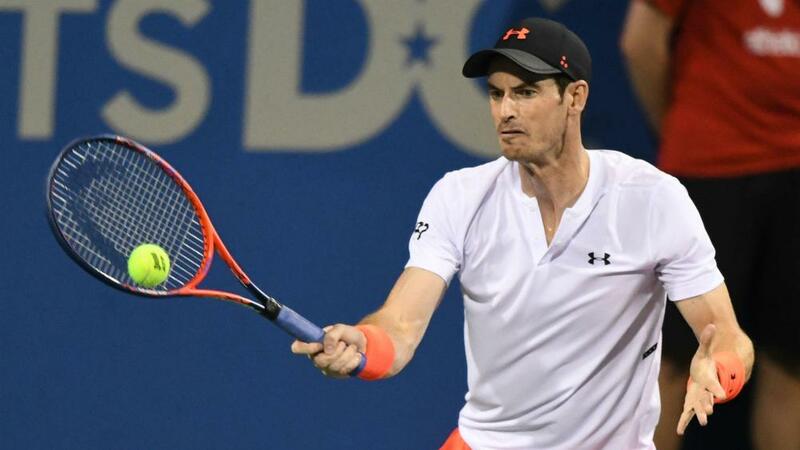 The three-time grand slam winner retired from the Citi Open due to exhaustion after reaching the quarter-finals and opted to skip the Rogers Cup before losing to Lucas Pouille in the first round of the Cincinnati Masters. Murray will face James Duckworth in the first round at Flushing Meadows next week and the unseeded Brit is not expecting to mount a strong challenge in New York. "My body feels better than it did a few weeks ago so that's positive." he said in New York on Friday. "I haven't played one [a five-set match] so you don't know until you get out there and do it. I played some long matches in Washington so that will help me. "My expectation is to give my best effort in the matches and hopefully my tennis will get better. My tennis is getting better all the time." Murray added: "It feels slightly different this one because for the last 10 years or so I've been coming and trying to prepare to win the event, whereas I don't feel like that's realistic for me this year. It's a slightly different mentality. That feels a bit odd. "I have great memories from New York overall from juniors to my first slam final to then obviously winning my first grand slam here. I'm really, really pleased to be back. I'll try to enjoy it as much as I can."